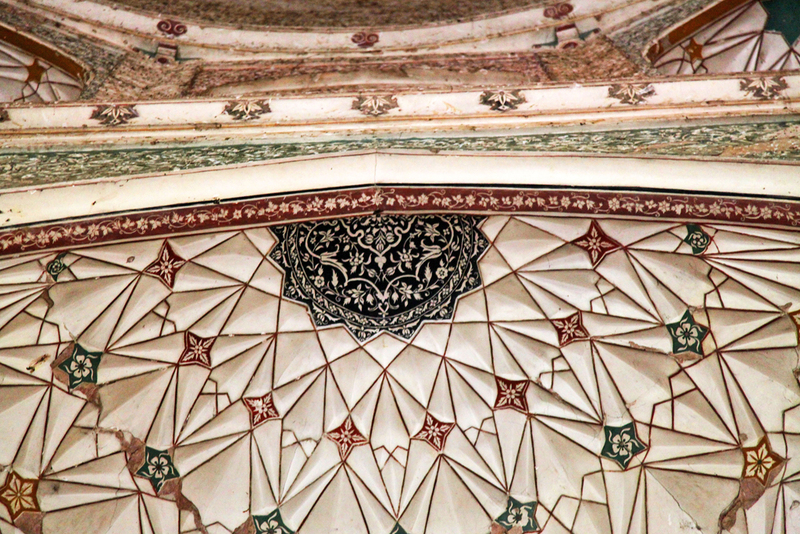 The most exquisite of Burhanpur’s architectural treasures are its frescoes. 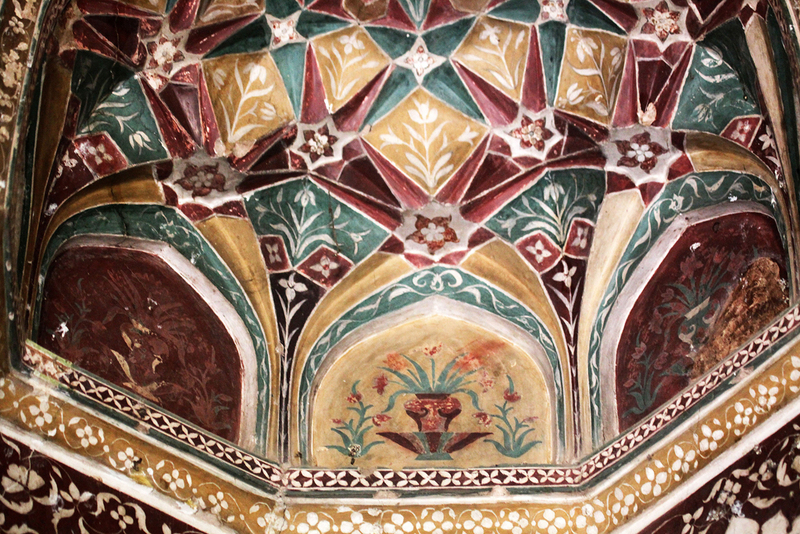 While the hammam inside the Shahi Palace was built in 1612, the paintings were commissioned for Mumtaz Mahal after Shah Jahan became the Mughal emperor. 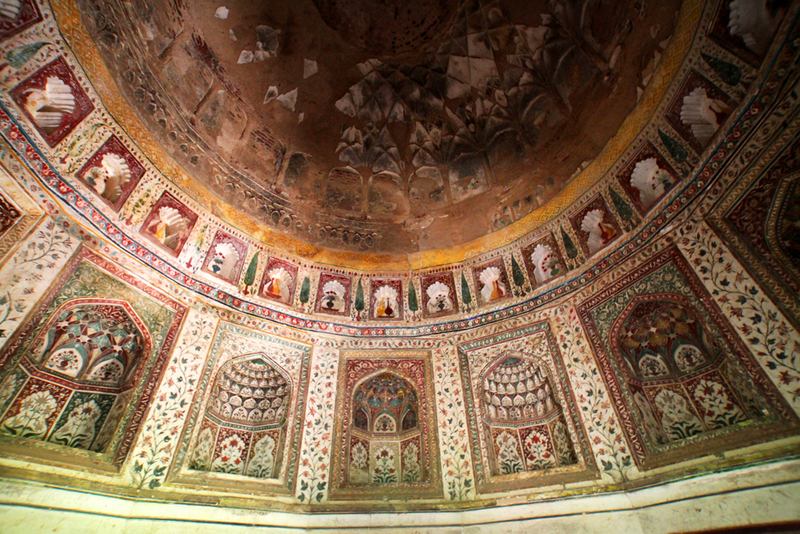 He also got a tomb built for his son Shah Shuja’s wife Begum Bilqis Banu, which was called Kharbuja Mahal after its melon-shaped dome. 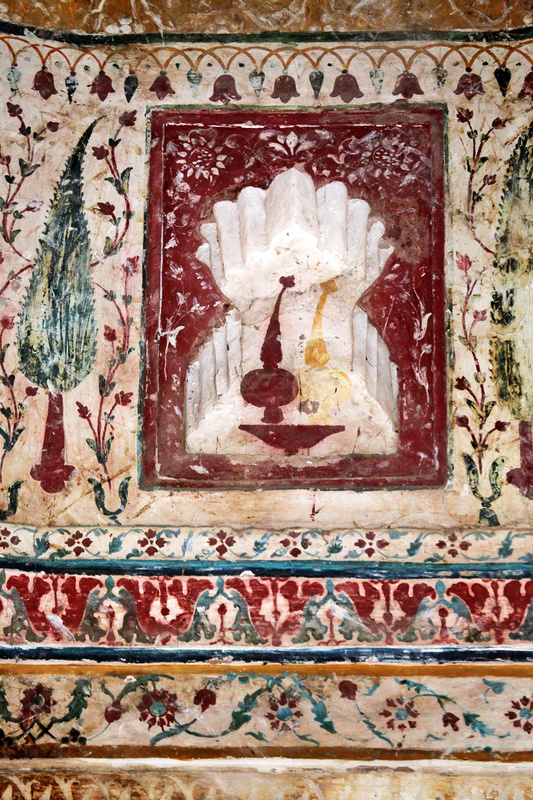 Being under constant lock and key in a remote location has ensured that its magnificent frescos remain in an excellent state of preservation. 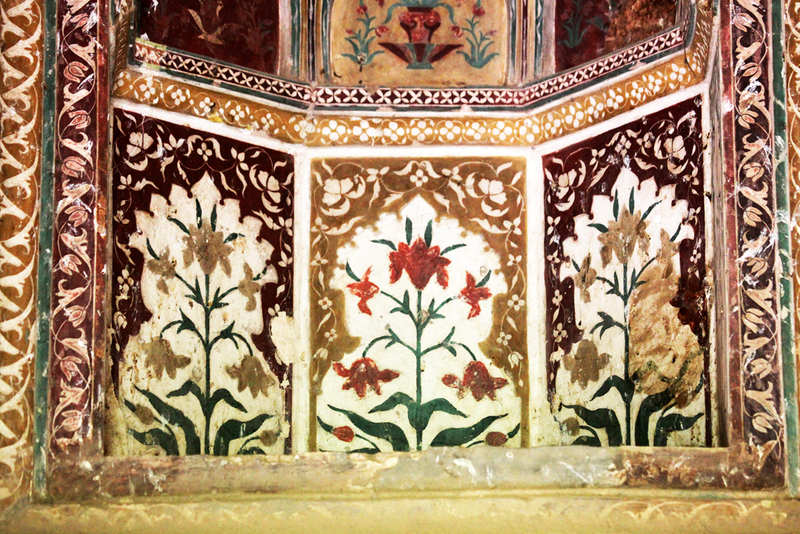 Keep a torch handy to admire the painted details in the dark nooks and crannies of Burhanpur’s monuments. 6. 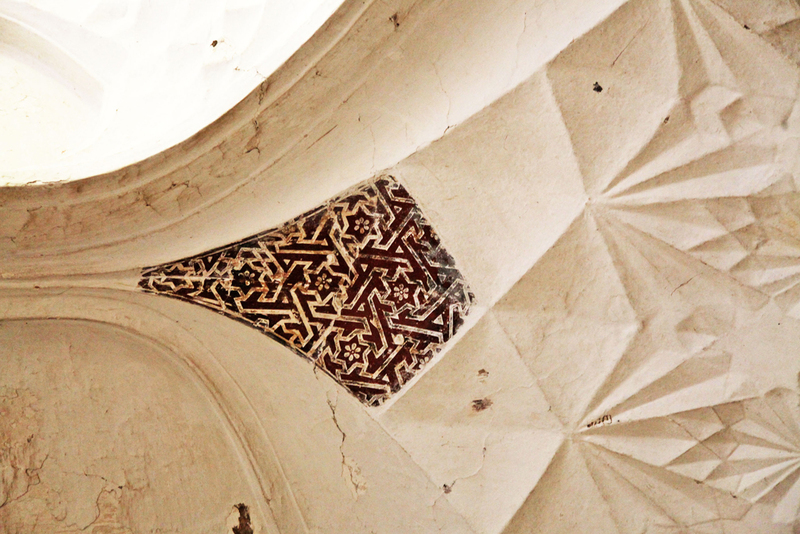 One can gaze at the intricate details painted under the domes, ceiling, and niches, for hours. 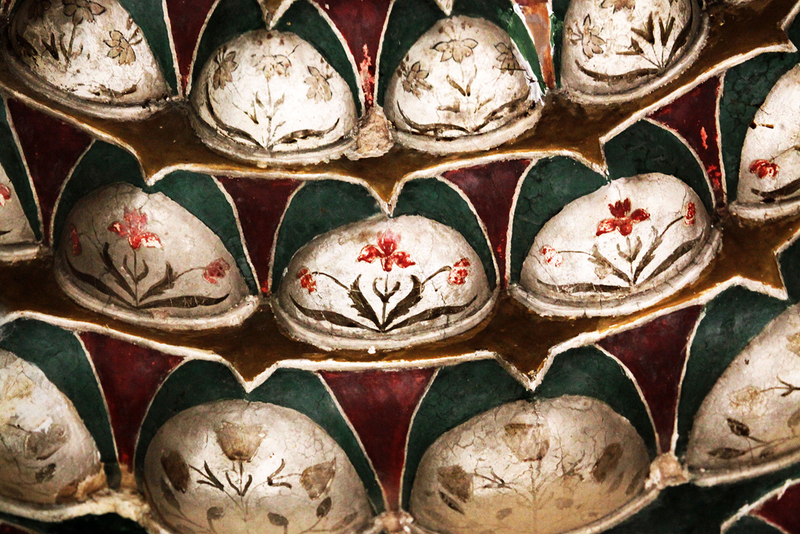 Vibrant reds, ochres and greens are offset by floral patterns in white.